I found them a few months ago whilst on a French indie pattern company journey of discovery! 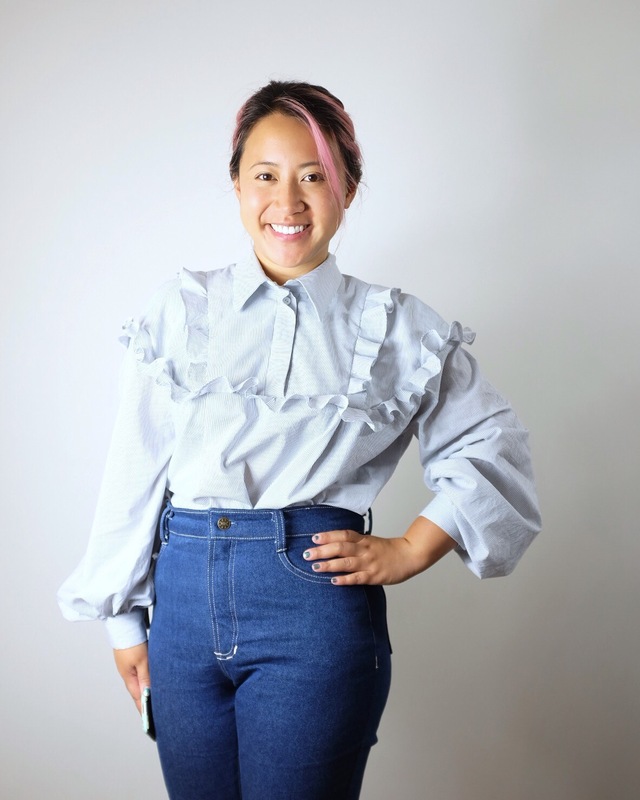 (If you want a list of awesome French indie pattern designers, check out Rachel from House of Pinheiro’s list here). There are tons of companies out there that I’d never heard of before and it’s well worth a look! Not all them come with English translations but it’s nothing Google translate can’t handle! I ended up buying 2 patterns from DP Studios but never got around to using them but I’m kinda glad I hadn’t because now I could use them for the New to Me challenge in The Monthly Stitch’s Indie Pattern Month! 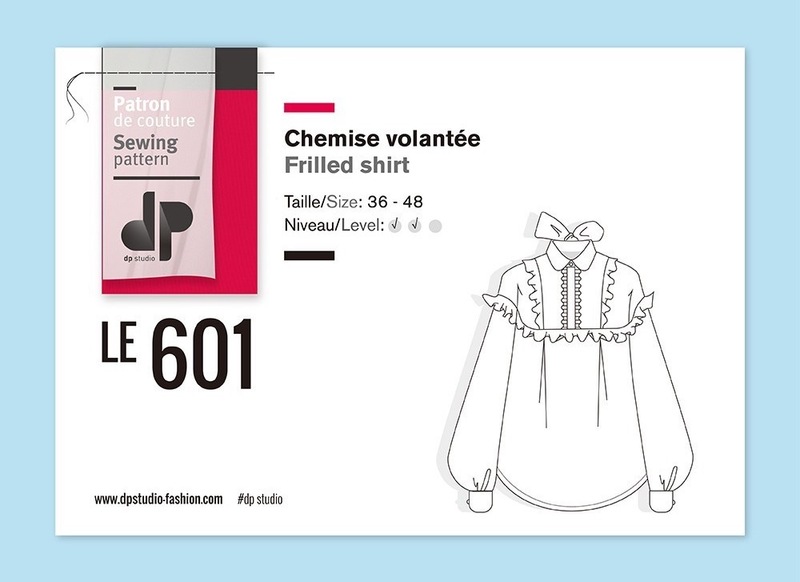 I opted to make the more complicated of the 2 patterns I got – Le 601 – for 2 reasons. 1. 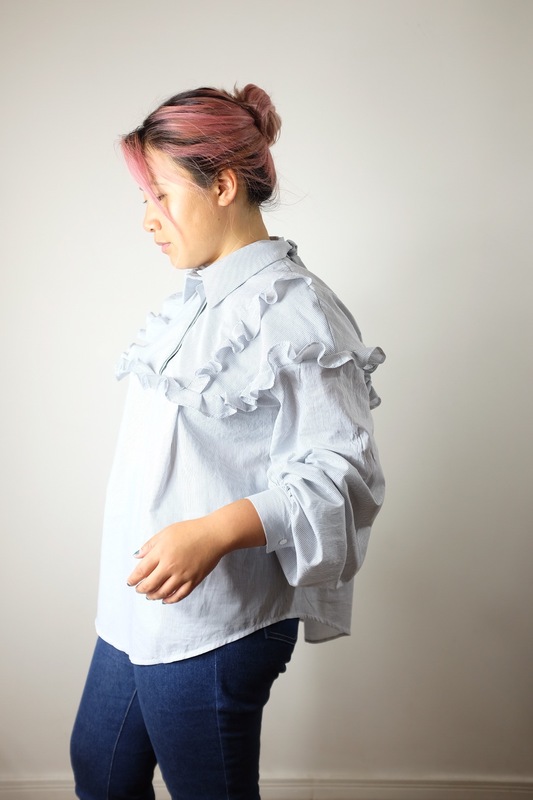 If I didn’t make it right now, ruffles and giant sleeves may no longer be cool and I would never be able to wear it out! And 2. I might never have pushed myself to make it! It is a rather more complex make than my usual! 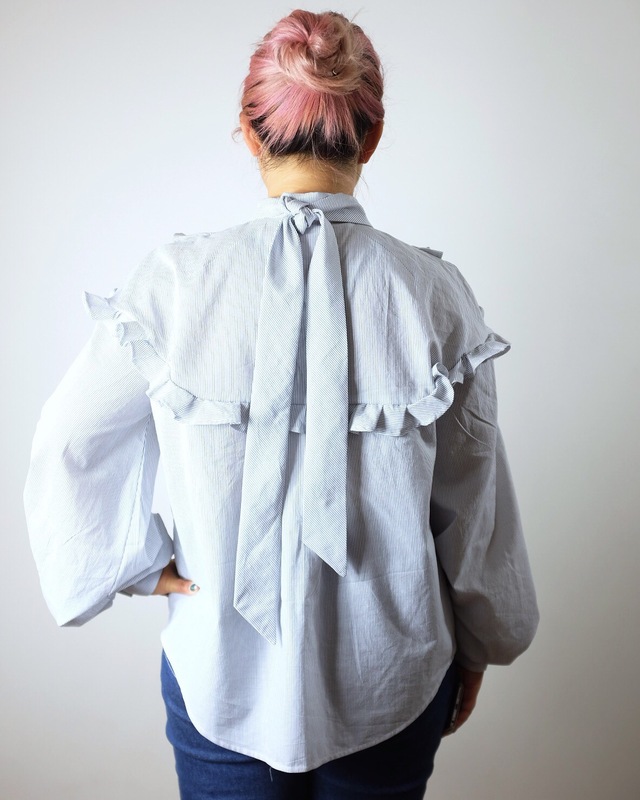 The 601 blouse is epic. 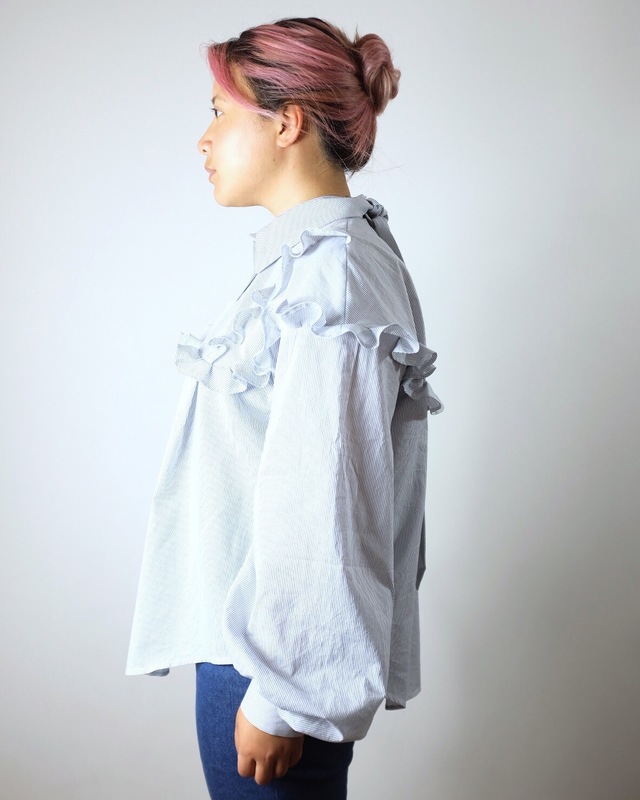 It features ruffles across the shoulders and down the front yoke, a collar which ties in the back and ridiculously billowy sleeves. It’s awesome! It actually turned out much easier to put together than I anticipated, if a little tedious. There are A LOT pattern pieces. 21 pattern pieces to be exact. It’s really not for the faint hearted. I was up for the challenge though! I made a size 40. I could probably have sized down once more as it’s pretty loose fitting and my shoulders are quite narrow. I made the entire thing without any changes to the pattern itself. I’ll be honest. I barely used the instructions. They do have an English in the pattern envelope which I promptly lost… I used the French version as a basic guide but mostly just made it up as I went along! I think it still worked out ok though! The ruffles were the most fiddly part. I’d never used ruffles cut in a spiral before so it was an interesting experience! I think it may be a bit much for most people’s day to day wear but I love that’s it’s a bit bold and daring. Don’t know when I’d wear it though! I think this shirt is gorgeous! And it totally suits daily wear. Sometimes I feel self-conscious about some garments I made and think that they are too bold for regular wear. The other day I wore such a dress and people just said that it is really nice. So it was just in my head, it was not even that daring for others. This is stunning! I love how different it is to most patterns. Pingback: My Top 5: Indie pattern companies - Self Assembly Required!